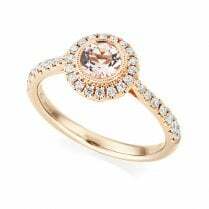 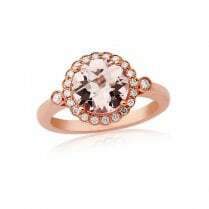 Morganite is a pink variation of the gemstone Beryl and this ring has over 1.00ct at its centre. 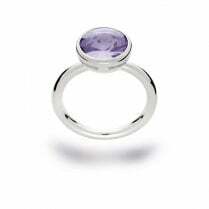 With lovely double millegrain edging the ring encapsulates creativity and elegance at its best. 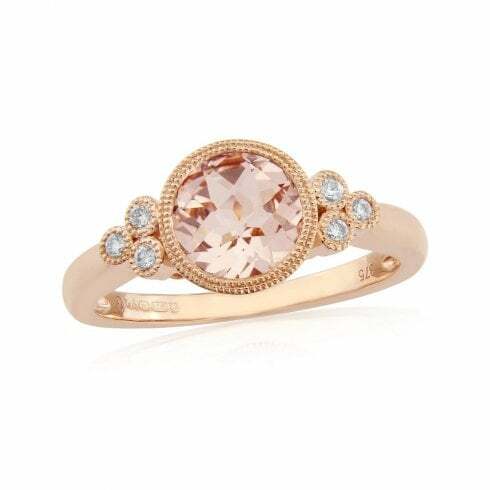 The morganite is complemented by six diamond highlights, three either side of the gem giving this gorgeous cocktail ring added sparkle and detail. 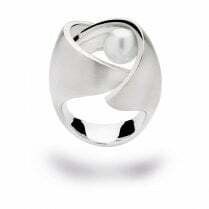 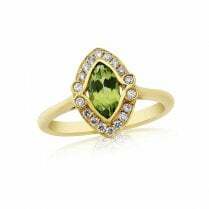 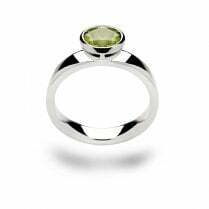 If you would like to order this ring in a particular finger size please contact us by phone, email or visit us in store.